It’s been an interesting year. For some, it’s been interesting in the sense of the apocryphal Chinese curse, “may you live in interesting times”. For others, it’s been interesting in a less ironic sense. Politics and celebrities are two of the staples of the media. So it’s not surprising that big events in both have dominated popular thinking. The unexpected results of both the EU referendum here and the presidential election in the US, combined with a higher than average death toll of genuinely A list musicians, has led many people to think that 2016 has been some kind of apocalyptic nightmare. In reality, it’s nothing of the sort. Yes, we have lost more leading players from the world of music this year than normal, including one of my own personal favourite artists (David Bowie). But, for all that, it’s within the bounds of statistical variation. And, as has been pointed out elsewhere, much of it is simple demographics. The post-war generation of leading musicians are ageing; we can hardly be shocked when someone such as Leonard Cohen dies at the ripe old age of 86. And those who have had their lives cut unseemingly short have almost all lived self-destructive lives, particularly with drugs and alcohol. A lesson here, maybe, is that youthful excesses have a lasting effect; even if you clean up your life in your middle age the damage is already done. Outside the shallow world of celebrity and the naval-gazing of politics, though, 2016 has actually been a pretty good year. Globally, the number of people living in absolute poverty continues to fall. And one of the biggest contributors to that is technology: the expansion of low-cost Internet access is one of the biggest contributors to GDP growth in poorer countries. It’s been good news on the conservation front, too. The Giant Panda is now officially off the endangered list. The number of rhinos poached in South Africa has dropped, and China’s decision to ban trade in ivory has been hailed as a potential game changer for elephants. Despite continued fighting in Syria and elsewhere in the Middle East, and terror attacks in Brussels and Berlin, the overall number of people killed by terrorism and warfare have declined slightly from 2015 and the long term trend is still very much downwards. It may not seem apparent from our media’s focus on countries nearer to us, but Africa, the Americas and Asia have all seen a marked drop in armed conflict. If you want more good news stories, then these articles from Quartz and the Guardian are good starting points. For those who like a more data-oriented approach then the aptly-title Our World in Data has some charts you really should be looking at. But what about Brexit and Trump? Well, to begin with, not everyone thinks those are bad. I’ll go into both of these in a separate article, but wherever you stand on the issue you can’t ignore the fact that a majority of those voting preferred the UK to leave the EU, and even if Trump didn’t get a majority of the popular vote he clearly won the election under the constitutional system which is currently in force. And even if you are on the other side to the winners in both of those cases, there are still reasons to be optimistic. But that’s for another time. Right now, let’s just be pleased at how 2016 has turned out. Header image credit: Image by Jeffchat1 via Wikimedia Commons. Licensed under the Creative Commons Attribution-Share Alike 3.0 Unported licence. 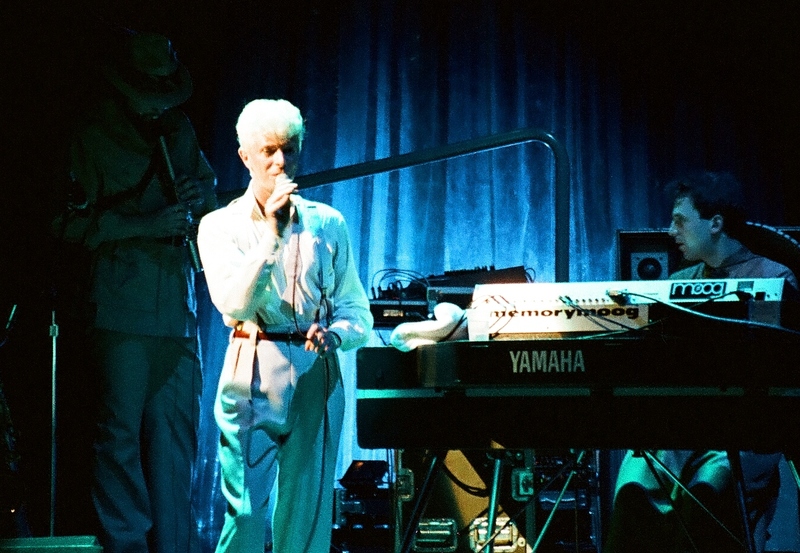 David Bowie performing on the Serious Moonlight Tour, November 193. Which is the tour where I saw him play live, at Milton Keynes Bowl in July 1983. Happy days.